Scheidler Family Clinic is a family-owned rural health clinic located in Kennett, Missouri. 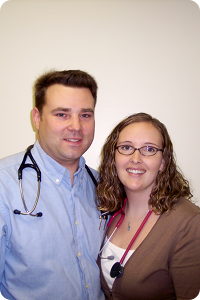 Since January 2007, Dr. Scheidler has been on staff at Twin Rivers Regional Medical Center and he and Heidi have been providing medical services to the bootheel area. To schedule an appointment call our office at (573) 888-0900.